Most conversations about online sales and marketing revolve around the seller. How do we best present ourselves, our product, and our pitch? Yet, the best salespeople aren’t thinking about themselves at all. The best online salespeople are thinking about how to make a potential customer feel more like a person. According to Monetate.com, “40% of consumers buy more from retailers who personalize the shopping experience.” This means that 40% of your potential customers spend their money with those who treat them like a person instead of just another faceless customer. With that in mind, here are 3 painless ways to personalize your sales process for your customers that any company can execute. As you’ll quickly see, the key is to find small ways to improve every stage of your prospect’s experience, from the first point of contact to the last. By tracking your prospect’s activity with Populr, you can easily see if they’ve opened the materials you emailed them and how long they’ve spent reading it. You’ll know if they read your emails and pages and if they downloaded any attached files. A tool like this makes your followup far more intelligent because you can tailor your responses based on where they are in your sales process. For example, you can easily track whether or not your prospect opened, viewed and download your proposal after a few days. If they haven’t opened it, you can send them a quick reminder to review your proposal. If they did check it out, you can see exactly what they looked at on Populr Analytics and for how long. That way you know what they’re interested in and how to tailor your follow up email or call. You’ll notice in the example of Populr’s analytics below, you can scroll over each email on the left and see the individual analytics for each person that visited the page. You can also see where they clicked how and much time they spent. Prospects want to have a tangible picture in their mind of what they can expect from you. Instead of including a list of deliverables in a proposal or contract, give them a peek of what’s on the other side. Show them the deliverables they can expect as soon as they sign the contract. You can give them a standardized template that walks them through the first month of working together. This positions you as a partner instead of a vendor, and it’ll also show your prospects that you are always a step ahead. Here’s a simple, web-based onboarding template from Populr that you can easily personalize and share with new prospects. Add a little personality to your emails. Check out this email below from Nuts.com. Notice all of the places they squeezed in their personality in what would have been a boring product delivery confirmation email. Give small and unexpected gifts to clients. 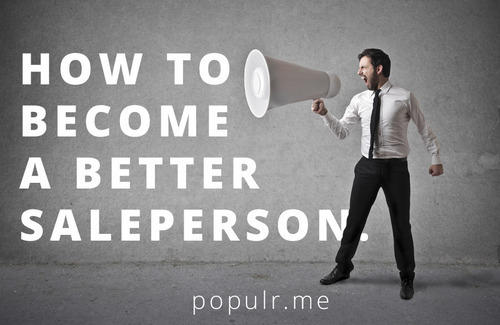 You don’t have to be Zappos to empower your salespeople to make someone’s day. Something small like a $5 gift card to Starbucks (below) or an unexpected discount can turn a one-time buyer into a life-long customer and advocate. Your documents and processes shouldn’t remove you from your prospects, they should free up time so you can focus on serving your prospects. If you’re looking to create deeper connections with your prospects, start with these three simple steps in your sales process. Then watch how they can spread throughout the entire lifecycle of the client. According to recent studies, email is still 40 times more effective for sales than Facebook or Twitter. Even in the face of Gmail’s inbox tabs and applications like Unroll.me keeping your mass emails at a distance, email for salespeople isn’t going away anytime soon. However, the more we (at Populr) work with sales professionals, the more we realize that very few people have mastered the art of using email to turn a prospect into a customer. 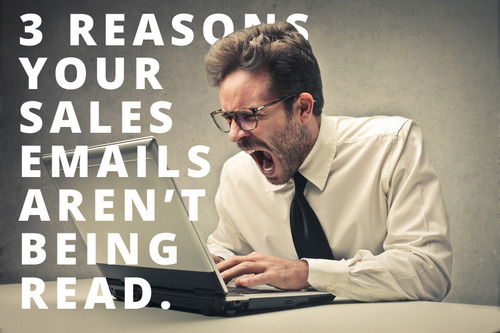 So, let’s talk about 3 reasons your sales emails are being ignored. 1. LONG & BORING EMAILS. According to studies, the average recipient will spend no longer than 20 seconds reading your email. This means that you have 20 seconds to either inform and direct them or bore them into becoming just another failed statistic. • Direct calls to action | For more info, read Increase click-thru rates. Whether it’s a pair of shoes or a personal reputation in your community, everyone is selling something. Some get paid for it. Some don’t. However, if you want to succeed in the marketplace, theres one thing that is non-negotiable: you must learn to sell better. Here are nine bonafide ways to become a better salesperson. 1. Don’t be a salesperson. Be a consultant. Change the way you see yourself. You’re not an employee trying to earn commision. You’re not a salesman trying to get a sale. You’re a consultant – a good one at that – trying to solve client’s problems. If you can go into your prospect’s business with the mindset that you are going to help them solve their problems instead of sell them something, your focus will be completely different. You will listen more than you talk. Do you have stuff you’d like to sell or market? Maybe you’re in a band and you want to promote or sell your music downloads, or your self-screened t-shirts? Maybe you’re crafting and you want to sell your knitted cosplay-inspired winter cap? Maybe you’re marketing a new service and you want to give away a PDF-information sheet in exchange for a potential customer’s email address. Making your stuff available online can be easier-said-than-done. Let’s change that right now. I wanted to share with everyone a personal success story that Populr has helped me achieve. Lux Capital is a NYC based Venture Capital firm that takes MBA summer interns. I had zero connections to firm, and in this economy, getting an interview is almost as hard as getting a job itself due to the high volume of candidates. Well, when sending in your resume, the firm asked you to send in your resume, what company you’d like to be a shareholder of, an underinvested sector, and an out of the box idea. I decided that this would be a great opportunity to send in a POP. Thank you for your application and interest in Lux. You win the award for most creative application. We’d be happy to set up a call to discuss further this week. Let me know your availability for a quick intro discussion? Congratulations, Paul! Remember, readers: you can get your own Populr account for free, so make a pop and stand out from the pack!